I’m so late to the party on this one but I am absolutely freaking in love with Bare Minerals Complexion Rescue. I really should have picked up on this sooner than I did, but being a massive fan of mineral powder foundation and trying to stay away from liquid bases it just wasn’t appealing to me as much as it usually would have. Saying that I couldn’t resist when my girl Ashton tried it on me in the Bristol House of Fraser. It had such an instant WOW impact on me and it’s impressed me so much ever since also. I don’t quite know what it is about this product that’s made me fall so in love; I love how dewy it makes me look, how flawless it applies to my skin and how little product I need to give the perfect finish. I apply this with my Real Techniques Buffing Brush (which is also all of a sudden my favourite brush) and just buff (ha didn’t see that coming did you?) this into my skin using literally the tiniest bit of product ever all over my face and neck. It’s a lovely light foundation, which I find to be quite tacky to the touch and I believe it was designed to be a pre-foundation before adding the Bare Minerals Powder foundation which makes it the perfect coverage for an everyday wear. 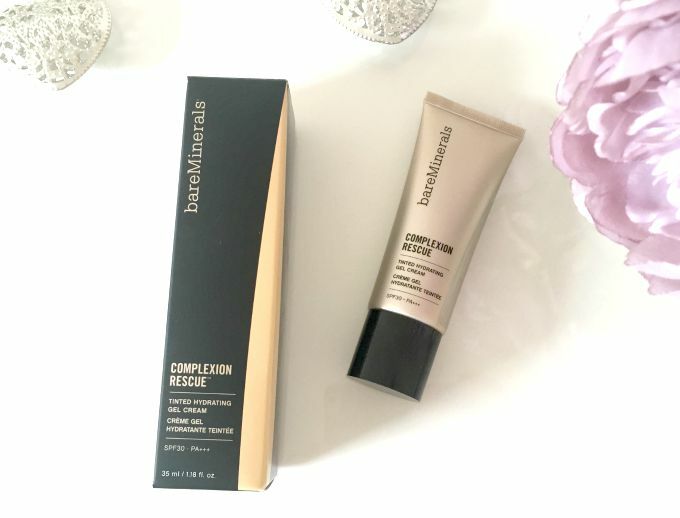 Being called Complexion Rescue obviously I was a bit dubious over it’s skills when it came to evening out my skin tone but again, amazingly I’ve been extremely impressed by this product. Even with blemishes, dark circles or the pesky redness that creeps on me of a morning, this bad boy has been covering it so well and blending out my complexion. 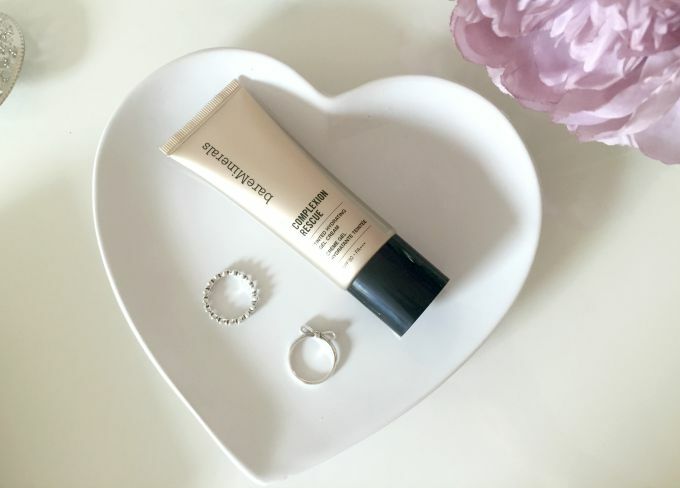 I’ve been so so so impressed with this product and Bare Minerals could not have done much better here – Repurchase is definitely on the cards here! Have you tried BM’s Complexion Rescue? Do you think of it as highly as me? Let me know in the comments below. Next Post I Moved to Manchester! This sounds amazing! I've heard so many good things about the product and how it's peoples favourite TM! I'm looking for something new so I amy try this one! I've never tried a product like this before but it sounds brilliant! Definitely need to try!